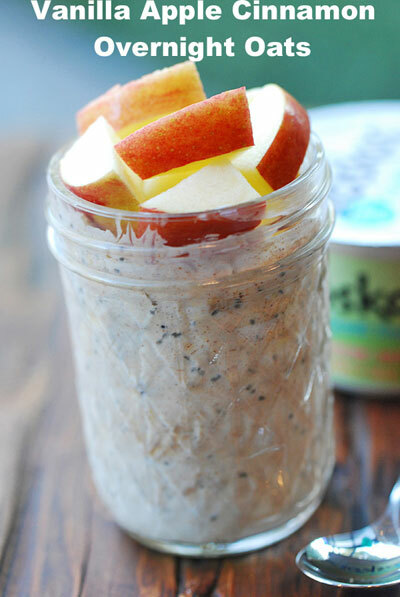 Apple, vanilla and cinnamon unite in this tasty oatmeal recipe. 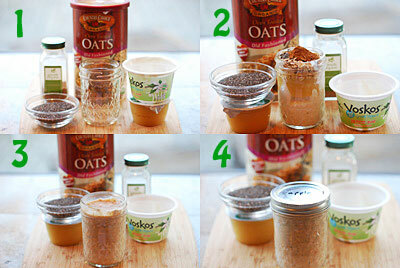 Just mix, refrigerate overnight, and enjoy the next morning. It’s an easy breakfast – and a healthy one. 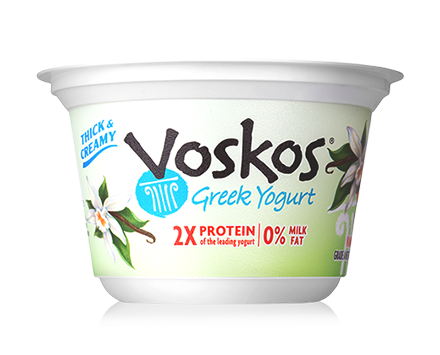 The pleasantly sweet, yet light flavor of vanilla makes our nonfat creamy yogurt something you’ll want to slow down and savor. 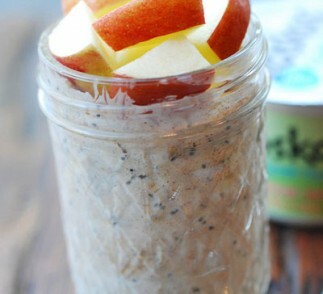 In a 8oz mason jar or any other container, add VOSKOS Greek yogurt, applesauce, oats, chia seeds and cinnamon. Use a table knife to mix everything together, gently and thoroughly. The next morning, remove the lid. Briefly heat in the microwave - for 20 seconds or so - just to the oatmeal is not super-cold. Top with apple cubes and enjoy!